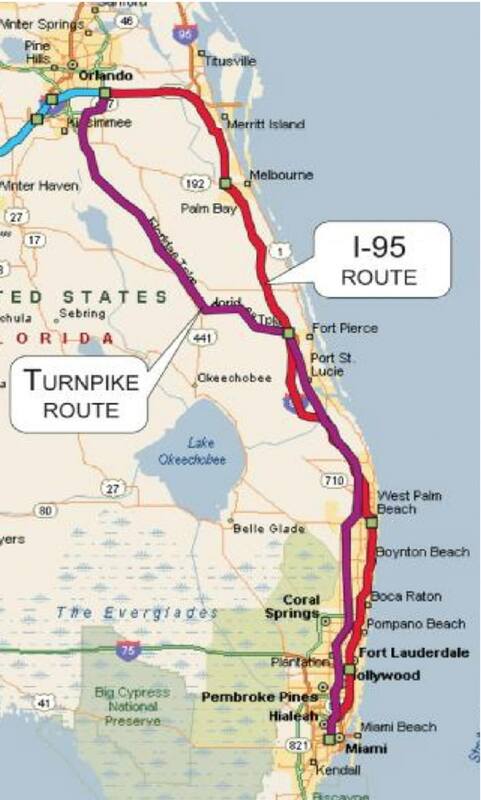 Design of a statewide High Speed train system which would connect three of Florida's largest urban areas, Tampa-Orland-Miami. The proposed system was intended to utilize the newest generation of French TGV rail equipment, consisting of ten-car train sets, including two power cars, seven passenger coaches, and a lounge car with food service. This project is the USA's first high-speed train project and was set to be completed by 2004. Unfortunately, the funding for this project was cut and the project was cancelled in 1999. 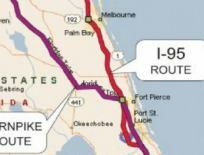 The FOX High Speed Rail Project was designed to connect Miami to Orlando and Tampa, a distance of 322 miles. Preliminary design includes 7 major stations: Miami Airport, West Broward, West Palm Beach, Orlando Airport, Orlando Attractions, Lakeland, and downtown Tampa. The coach vehicles will be 61' long and 9.5' wide - each set capable of seating 295 passengers and serving seven stations while operating at speeds close to 200 miles per hour.